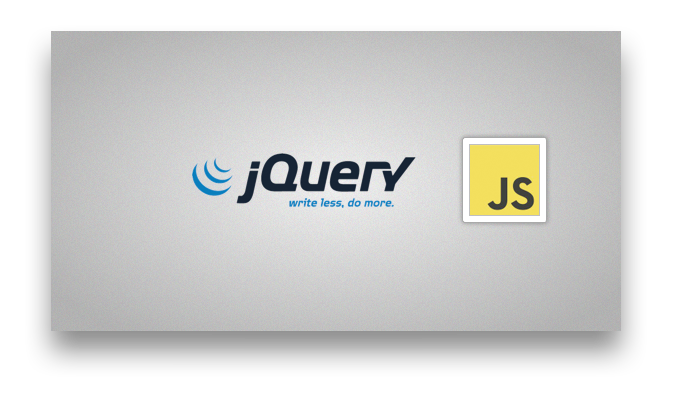 Write simultaneously the frontend and backend code, in the same language, within the same module. 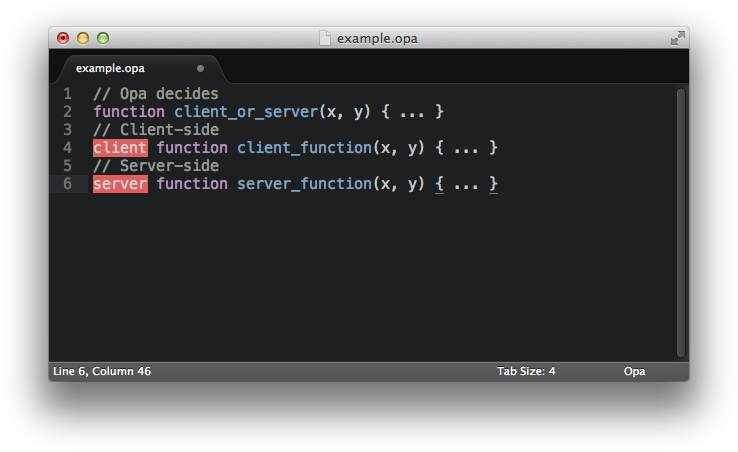 Even better: the Opa Slicer automates the calls between client and server. No more manually written AJAX calls or value serialization! And when auto is not enough, add hints to the code to enforce client or server-side, privacy, synchronous or asynchronous. Applications built with Opa can be deployed in most cloud straightforwardly and scaled up or down easily. 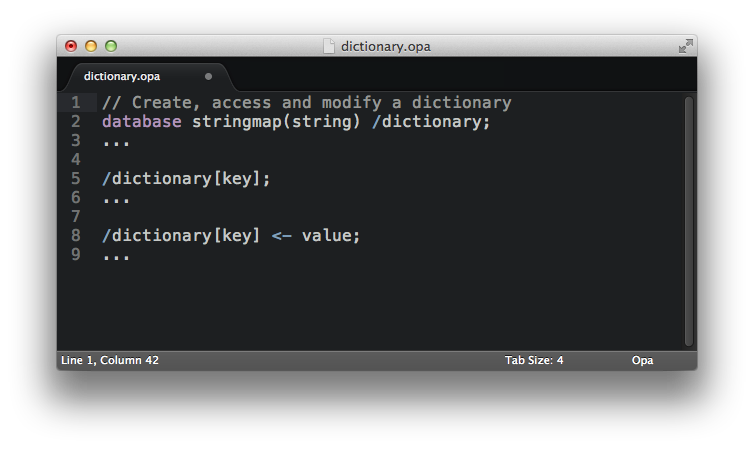 Database queries are also written directly with Opa. 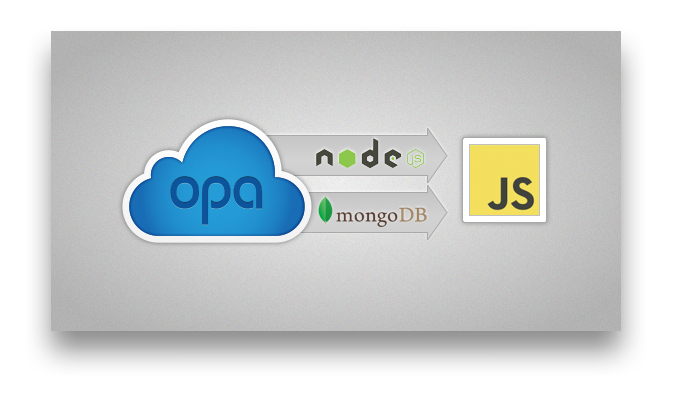 Opa currently supports both the SQL database PostgreSQL and NoSQL databases MongoDB and CouchDB. More databases are planned for future releases. Opa provides many unique advanced operators and automates the database queries for maximal productivity. Opa unique feature is its advanced typechecker that automatically verifies your application code, looking for bugs and inconsistencies, and crunching debugging time. The Opa Type Checker was designed to bring static verifications to dynamic programming experience. Type checking is incredibly fast and features type inference: Application code stays lean and clean. Modern applications use a lot of asynchronous calls. Dealing with callbacks manually can be painful, and failing to do so properly blocks the application runtime. In the following example the Opa compiler automatically takes care of everything. 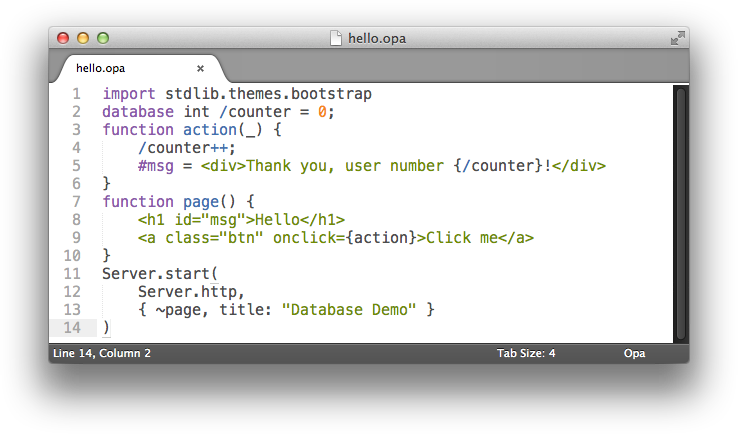 Opa support MVC (Model-View-Controller) programming and provides a scaffolding mechanism to get started instantly. 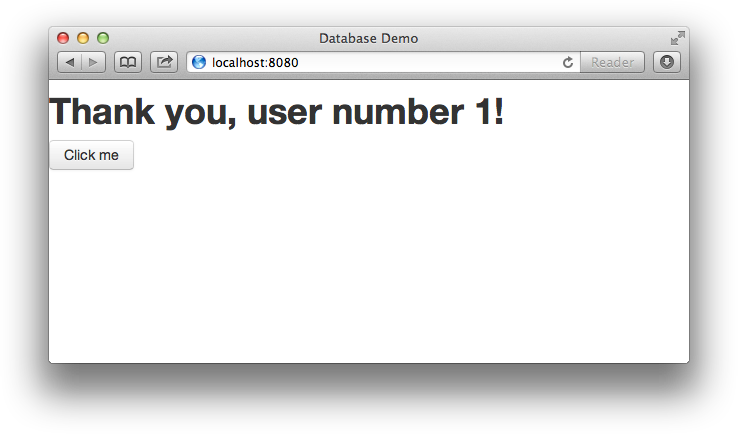 Just minutes away from creating a real application. 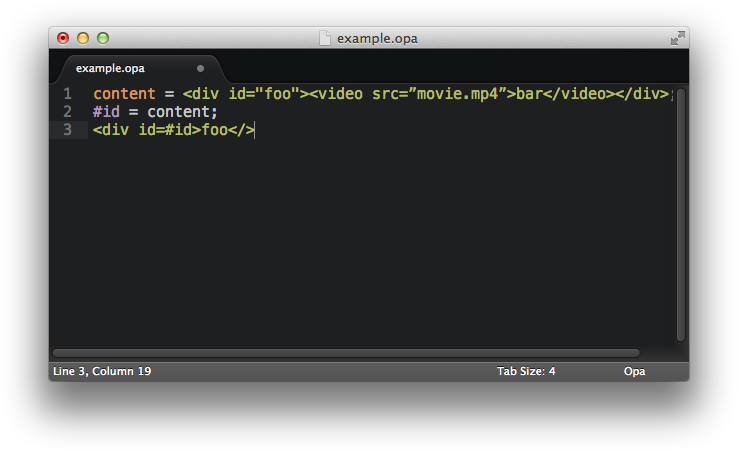 Opa is built for the modern web. 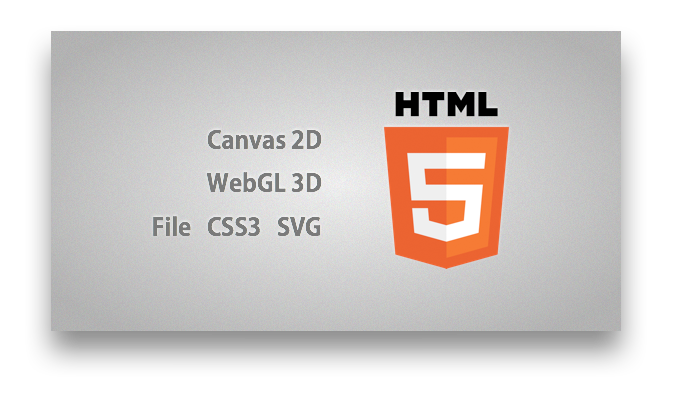 HTML5 fragments can be inserted directly. No more messing with single and double quotes! CSS(3) elements including selectors are also easier than ever to use. Database, types, pointers, autoclose, higher-order functions, etc. The list is way too long to fit here. Find it on the reference card. Power Rows is one of the features that makes Opa safe and fun at the same time. Static typing [of Opa] helps catch most bugs at compile time rather than a stack trace at run time. Opa's type checking is simply amazing. 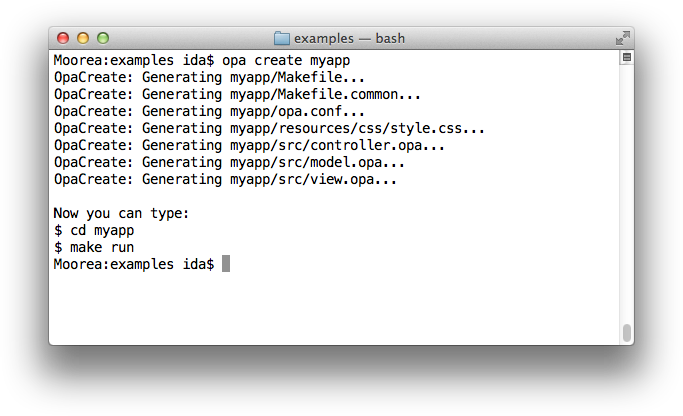 [...] I think Opa will greatly change the future of web development. 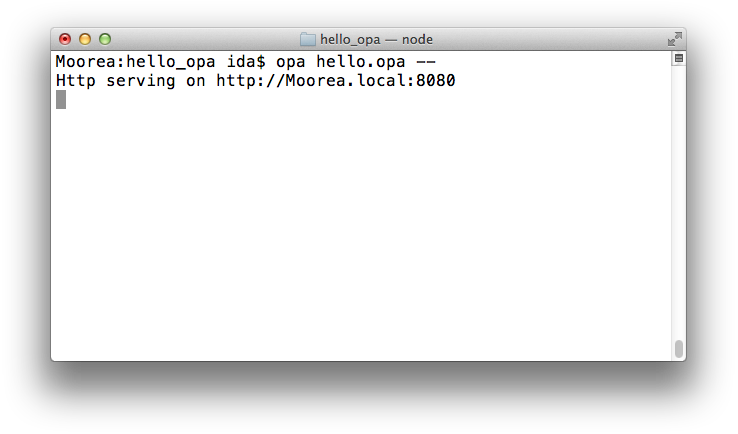 Writing in Opa is super quick and fun! I don't think I could have written things as quickly in any other framework. Download Opa for your OS. Follow installation guide to get started. Read the documentation to get more technical information and code examples. Use API to search for packages, modules and functions; to add your bookmarks and notes. 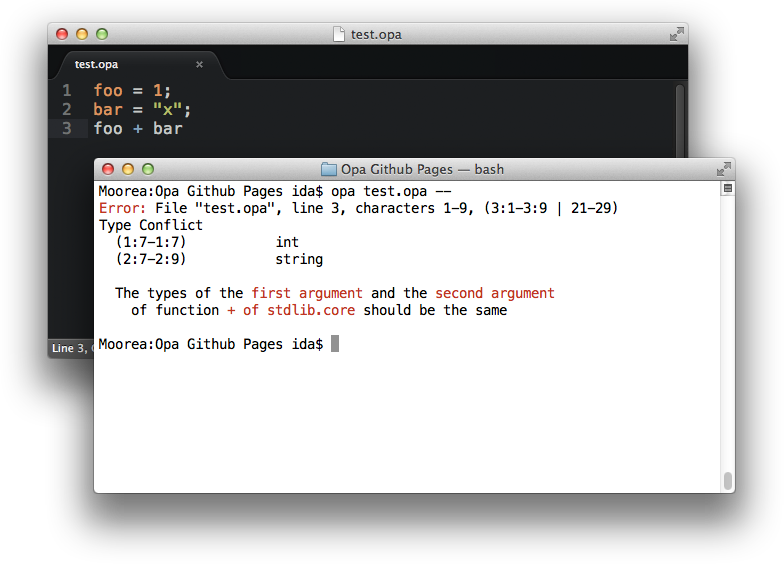 This hands-on book shows how to code in Opa. Check out StackOverflow for questions and answers. Fork Opa on GitHub and contribute your own modifications. Edit Opa GitHub wiki to contribute to the documentation. Give a talk about Opa at your local meetup or organize a hackathon. Opa is an open source project started by Henri Binsztok at MLstate and built by many contributors. Released in June 2011, the Opa technology was a finalist of GigaOM's Structure LaunchPad 2012. Opa library and tools licensed under the MIT License. Compiler and ocamllib licensed under the GNU Affero General Public License, version 3.